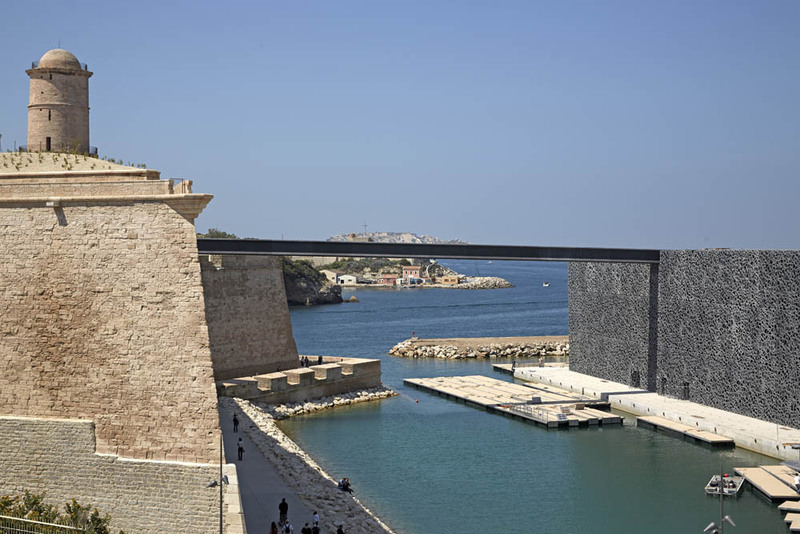 Tying in with the French city’s designation as European Capital of Culture 2013, MuCEM is one of several civic buildings opened in 2013 and will be dedicated to the history and cultures of the Mediterranean region. Ornamental concrete shrouds the glazed exterior of the museum like a lacy veil, moderating light through to the building’s two exhibition floors. Meanwhile, an inclined walkway bridges out from the roof the building to meet Fort Saint-Jean – a seventeenth-century stronghold that will also house museum exhibitions – before continuing on towards the Eglise Saint-Laurent church nearby.